Dr. Michael Power is an Eye Surgeon specializing in cataract surgery. He is a Diplomate of the American Board of Ophthalmology and a Fellow of the American Academy of Ophthalmology. Dr. Power is also a member of the American Society of Cataract and Refractive Surgery, the Montana Academy of Ophthalmology and the Montana Medical Association. 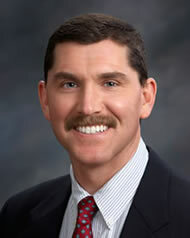 Dr. Power has been licensed to Practice Medicine and Surgery in Montana since 1992. From Miles City, Dr. Power completed his undergraduate degree at Carroll College in Helena and earned his medical degree from the University Of Washington School Of Medicine in Seattle. After completing an Internal Medicine Internship, Dr. Power was selected to attend the Naval Undersea Medical Institute and graduated as an Undersea Medical Officer. Dr. Power practiced Diving Medicine with the United States Navy SEALs, Divers, and Submarine Force. While stationed at the Naval Special Warfare Center in Coronado, Dr. Power was an Instructor in Diving Medicine. Dr. Power attained qualification as a Submarine Medical Officer for Naval Special Warfare Operations and is a qualified Naval Parachutist. Dr. Power completed his Ophthalmology training at the Naval Medical Center in San Diego, California. As part of his training, Dr. Power was one of the first Ophthalmology Residents in the United States Military to perform Laser Vision Correction surgery. His patients included members of the U.S. Navy SEALs, Explosive Ordnance Disposal, and fellow physicians. Dr. Power began practicing advanced no-needle and no-stitch cataract surgery while still in training. He was the first Eye Surgeon in Billings certified to implant both the AcrySof® ReSTOR® IOL and AcrySof® Toric IOL. Dr. Tom Priddy is an Ophthalmologist specializing in the medical and surgical treatment of glaucoma and cataracts. 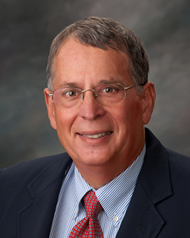 He has practiced in Billings since 1987 and was the first fellowship trained glaucoma specialist in Montana. He is board certified by the American Board of Ophthalmology and is a Fellow of the American Academy of Ophthalmology. He is a member of the Montana Academy of Ophthalmology and the Montana Medical Association. Born in Arkansas, Dr. Priddy graduated from high school in Louisiana and received his undergraduate education at L.S.U. in Baton Rouge. He attended medical school at L.S.U. School of Medicine. After a general Internship, he spent two years in Crow Agency as a General Medical Officer with the U.S. Public Health Service. After finishing his tour in the I.H.S., Dr. Priddy returned to Louisiana to complete his Ophthalmology residency at L.S.U. Hospital and then finished a fellowship in glaucoma at Washington University in St. Louis. Dr. Priddy is married with two daughters. He and his family enjoy most outdoor activities and he considers it a privilege to practice in this great state. Dr. Catherine Olson grew up in Minnesota and spent her summers at Ottertail Lake. She graduated from Shanley High School in Fargo, ND and received a scholarship to attend North Dakota State University. 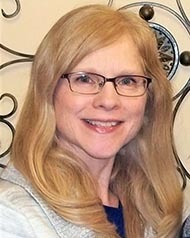 Dr. Olson completed her Bachelor of Science in Vision Science degree while attending Southern California College of Optometry and graduated from SCCO with her Doctor of Optometry degree in 1990. Dr Olson has practiced in a variety of settings in the Los Angeles, CA and Austin, TX areas. She moved to Billings, MT in 2005 to be near family. Dr. Olson is married with three young adult step children and enjoys bicycling and hiking with her husband Tom.